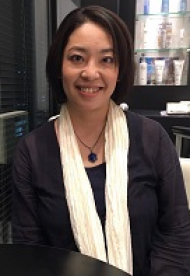 Kyoko is a workshop facilitator, counselor for both individual and organization in Japan. She spent 2.8 years in London, UK and worked as a Japan Desk Sales Assistant in Dow Jones UK. After she came back to Japan, she started to grow her career in the Financial Market such as Bloomberg L.P., Nikko Citi Group and Deutsche Bank. Her career experience are as Marketing Manager, Localization, Customer Support and Information Security management. After she resigned from Financial Market World, she established family care organization for people with disability and conduct some workshops and peer-support activities for 2 years. She has known TetraMap while she was working in Deutsche Bank. She is now a Certified TetraMap facilitator and has received a great awareness of human collaboration. Qualification includes, a Master’s degree of Information Security from the Institute of Information Security. Kyoko is a Certified Facilitator of the TetraMap. TetraMap is a great tool to reduce conflict among people and develop increased performance of people in your organization using the four elements of Earth, Air, Water and Fire. It is important to understand how we are different and respect each other. TetraMap tool has lots of hints to make it happen.